I went to photograph at Beavertail State Park recently, another place I like to revisit. The wind was fairly strong, which managed to kick up a good surf and plenty of water crashing on the rocks. I was traveling light, using only my 50 mm lens. I found the limitations of the lens to be quite challenging. 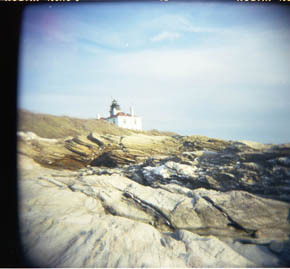 I also took a few shots with the Holga, that I will post after I finish the roll. Taken with a Canon 40D and 50mm f/1.8 II lens.